Hey, boys! Are you ready for a tropical adventure? You need to check out Michael Phelps’ Palm Spirit Collection! 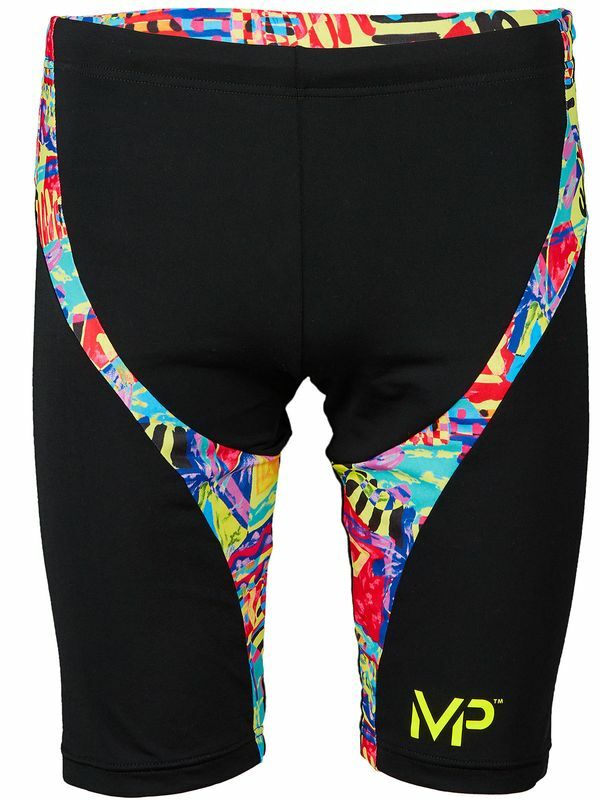 The sleek jet black Michael Phelps Riviera Boys’ Jammer have a cool tropical pattern wrapped around both legs and the back of the waist. This bold canary yellow print features a tropical garden in ruby, tangerine, shamrock, ocean blue, azure, and charcoal. From the mind of the world’s greatest Olympian, the Michael Phelps Riviera Boys’ Jammer was designed for swimmers who are on their way to nabbing the gold. If you are looking for a style that will stand up to even the longest training sessions, look no further.